The Palestinian Center For Human Rights (PCHR): On Tuesday, 26 September 2017, Deir al-Balah First Instance Court convened in Khan Younis issued 3 new death sentences in the Gaza Strip. The death sentences by hanging were issued against S. A. G. (54); Y. H. A. (64) and A. ‘A. B. (38), all of them from Khan Younis in the southern Gaza Strip, after being convicted of corporate murder and burglary as they were accused of killing A. M. M. while robbing his house in Deir al-Balah. The number of death sentences issued since the beginning of 2017 has risen to 20 sentences, 18 of which were new sentences while the 12 others were to uphold previous sentences. Thus, the total number of death sentences issued in the Palestinian Authority (PA) controlled areas has risen to 192 sentences since 1994. Twenty of them have been issued in the West Bank and 172 in the Gaza Strip. Among those issued in the Gaza Strip, 103 sentences have been issued since 2007. Since the establishment of the PA, 38 death sentences were issued; 36 of which were in the Gaza Strip and two in the West Bank. Among the sentences issued in the Gaza Strip, 25 were issued since 2007 without the ratification of the Palestinian President in violation of the law. It should be noted that 6 sentences were implemented following the formation of the National Unity Government in June 2014; 3 of which were implemented after summary trials conducted by the so called Military Field Court on grounds of the assassination of Mazen Fuqaha, a Hamas Leader. PCHR at that time denounced implementing death sentences without the President’s ratification and emphasized that it is extra-judicial killing and in a clear violation of the Palestinian Basic Law (PBL), which stipulates that death sentences require the ratification of the Palestinian President for implementation. PCHR follows up with deep concern the excessive application of this serious and irreversible punishment. PCHR is also gravely concerned over the continued application of death penalty in the PA controlled areas, and calls upon the Palestinian President to sign the 1989 Second Optional Protocol to the International Covenant on Civil and Political Rights, aiming at the abolition of the death penalty and issue a presidential decree to halt it until the Palestinian Legislative Council (PLC) convenes and abolishes it. 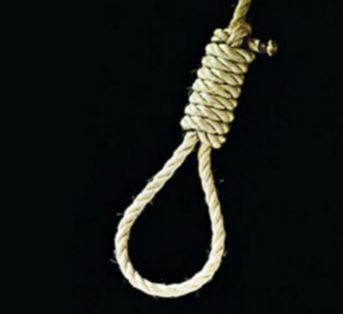 in light of the positive atmosphere as the National Unity Government is about to assume its responsibilities in the Gaza Strip, PCHR calls upon the Palestinian President to issue a decision to suspend the death penalty and reconsider all death sentences issued during the division. Moreover, PCHR stresses that the call for abolition of death penalty does not reflect tolerance with those convicted of serious crimes, but rather a call for utilizing deterrent penalties that maintain our humanity.